Ganapatipule beach is located in Ganapatipule. 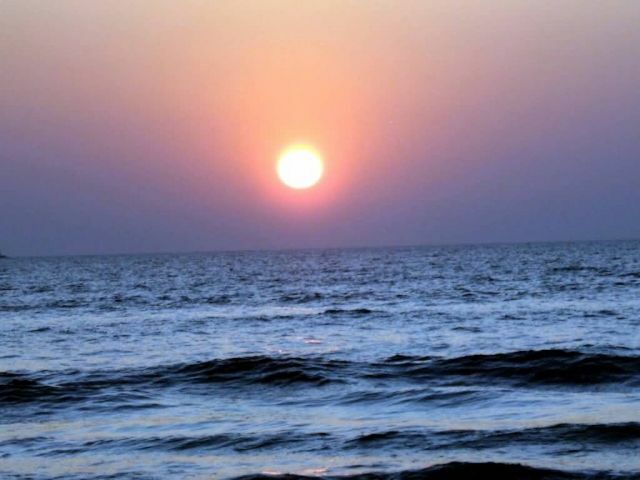 It is a small town located in Ratnagiri district on the Konkan coast of Maharashtra. Ganapatipule have a spectacular, clean and cleare beaches. Around the beach there are many coconut trees. The temple of Swayambhu (self-originated) Ganesh is much frequented by thousands every year. Those who visit Ganapatipule make it a point to pay their respects to this deity. In addition to its clean beach and clear waters, Ganapatipule is rich in flora, including mangroves and coconut palms. Abhishek Beach Resort and Spa is a very good mid range option having a spectacular view of the Arabian sea from all its rooms.